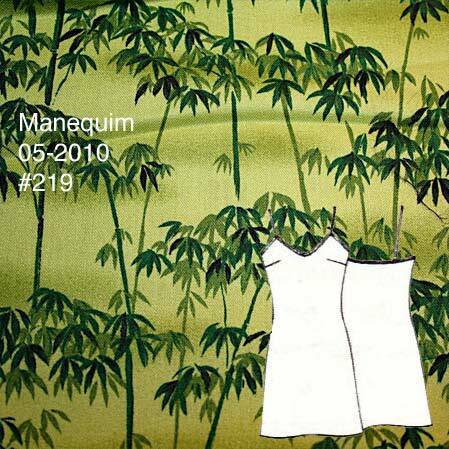 After my first muslin of a potential honeymoon nightgown knocked that pattern out of the running, I turned to the slip dress pattern (#219) from the May 2010 issue of Manequim magazine as my next candidate. 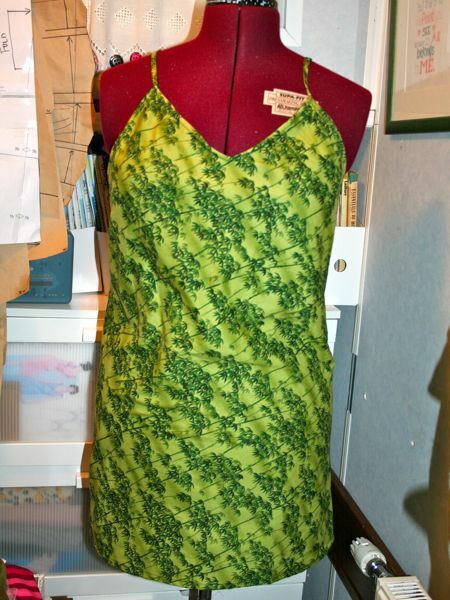 This is a simple bias dress with bust darts and bias edge on the neckline. The pattern calls for you to have two lengths of bias edging – the longer one finishes the neckline from the front bust peak, under the arms, around the back and up to the other bust peak. 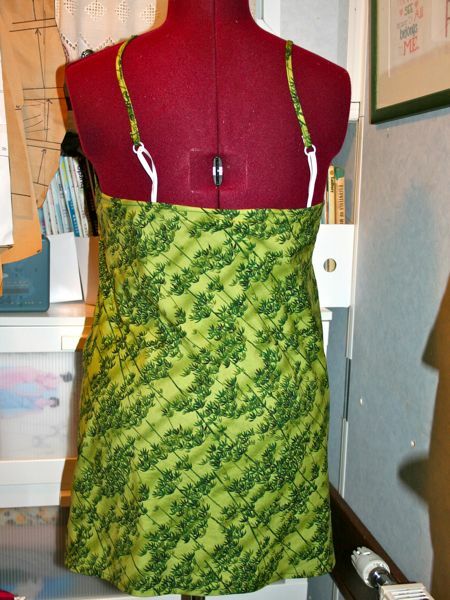 The shorter length of bias finishes the neckline in the centre front portion and continues up to form the straps. Since I didn’t have any suitable lightweight muslin in my stash, I sacrificed this bamboo-printed Robert Kauffman cotton I’d bought on a binge at equilter.com about 6-7 years ago. I hadn’t decided what to do with it between then and now so I figured it’d be good for a wearable muslin. It went together super quickly, but on my first fitting it was apparent that the bust dart was ridiculously too high. Then I realised that half the problem was that the straps were about 3 inches too short, so I jury-rigged some elastic and bra hoops to elongate the straps, but even then, the bust dart was not pretty. So I crossed this off the list of candidates for a honeymoon nightie, but then, actually… I had no more candidates. 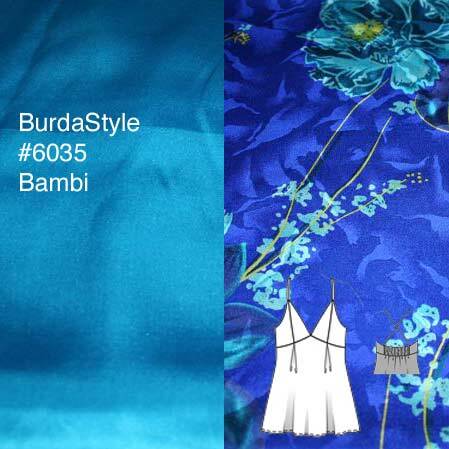 And then I suddenly recalled that BurdaStyle’s Bambi pattern actually looks really great without those weird wing-flap things (seriously what are those??). 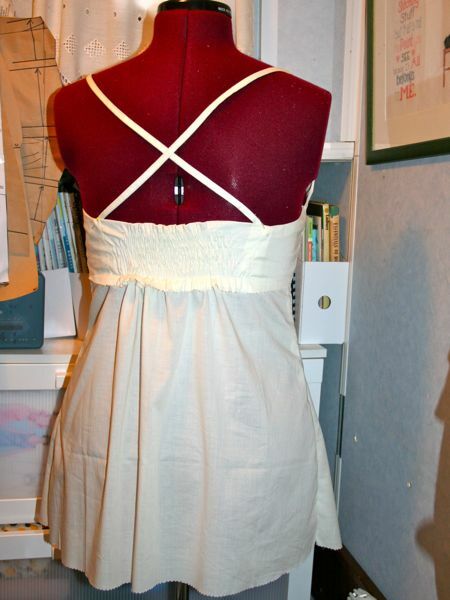 So I whipped up a quick muslin of that, and it’s cute! Really cute, actually. It’s also one of their free patterns, fyi! Instead of their instructions to zigzag over round elastic, I opted instead to use elastic thread in the bobbin, which works well, but if you’re making this yourself, do the shirring absolutely last, AFTER attaching all the back pieces together. It’s way easier that way than trying to wrestle the un-gathered back shirt onto the shirred upper back. 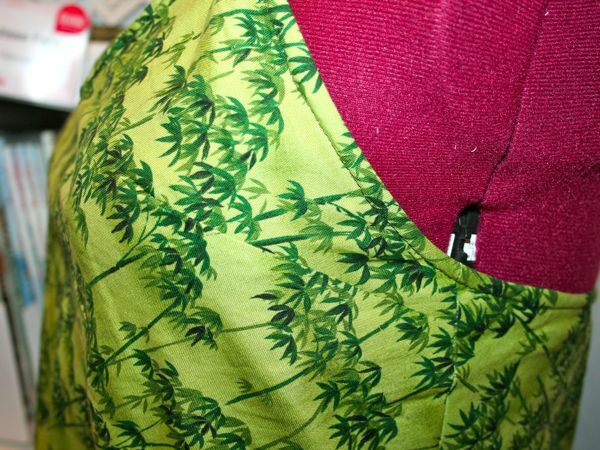 And now that my nightie pattern is set, I had a full day of Fabric Tetris on Saturday laying out all the combined pieces of Bambi and the awesome Allie robe pattern onto Shasha’s Malaysian silks. 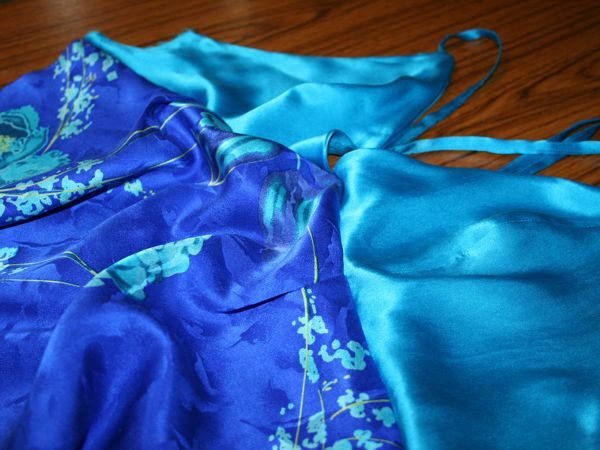 It was a realy difficult task, but I finally got a workable solution that fits both into the 2m of turquoise silk satin and 2m of blue floral silk jacquard so that the various panels look good. I machine washed both (go go Delicates cycle) and line dried because nightwear really needs to be machine washed when in use so I wanted to treat the fabric how the finished garment will be treated. Then on Sunday I managed to sew together the silk Bambi, complete with French seams and everything. And it feels ultra luxe! 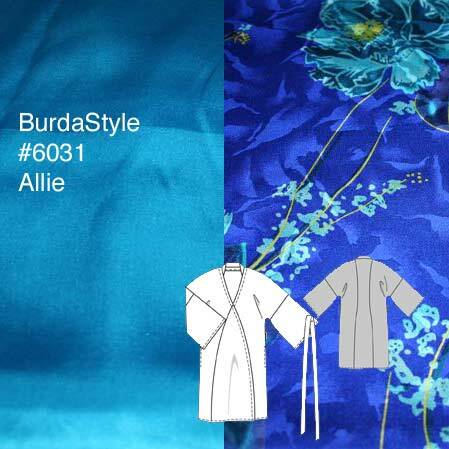 Next up: the luxurious silk robe, Allie! 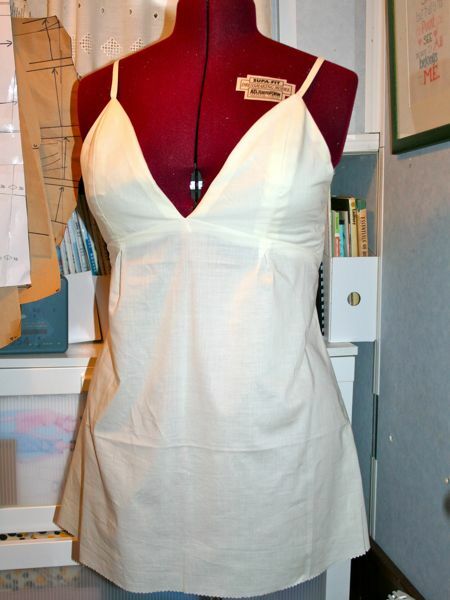 Separator image Posted in In Progress and tagged with burda-style, lingerie, manequim, silk, wedding.